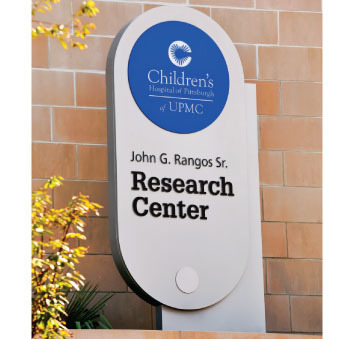 When your signage requirements call for a truly unique, one-of a kind type design, consider Charleston Manufacturing, LLC's custom architectural signage capabilities! We have the capability to fabricate virtually any design you can imagine using aluminum skin, angle and tubing components. If you can imagine it, we can build it! 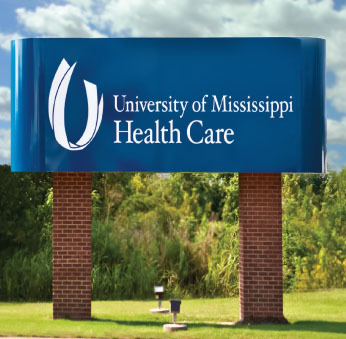 As part of our extensive custom signage capabilities, Charleston Manufacturing, LLC is also pleased to offer our Series 3000 and Series 4000 architectural signage systems. 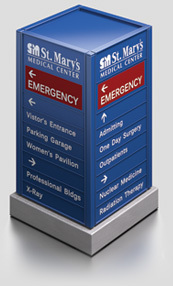 Custom designed and built to meet your requirements, both the Series 3000 and the Series 4000 are well suited for pylon and monolithic signage applications. Sizes range up to a maximum of twelve feet in height, six feet in width and a minimum depth of one foot. The Series 3000 is constructed as a 60 degree equilateral triangle. The Series 4000 can be constructed in either a square or rectangler configuration. Both are equally at ease in either interior or exterior environments. 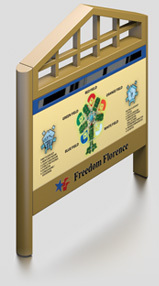 All Charleston Manufacturing, LLC custom designed signs, including the Series 3000 and Series 4000 are available in either illuminated or non-illuminated configurations and ship to the site completely assembled for easy installation. 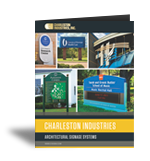 Finally, all Charleston Manufacturing, LLC custom designed signage components are finished after fabrication, thereby eliminating bare edges and ensuring a uniform appearance. 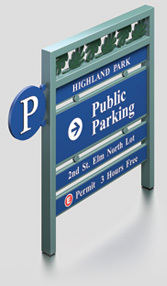 Standard finishes for the signs include 15 standard colors in acrylic polyurethane. 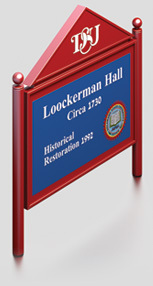 Custom colors and color matching are available within standard lead times.